Joanna Gaines announced she will release a children's book she wrote with her kids in March. WACO, Texas — Joanna Gaines is adding children's book author to her name. The Fixer Upper mega-star will release her new book 'We are the Gardeners' in March. 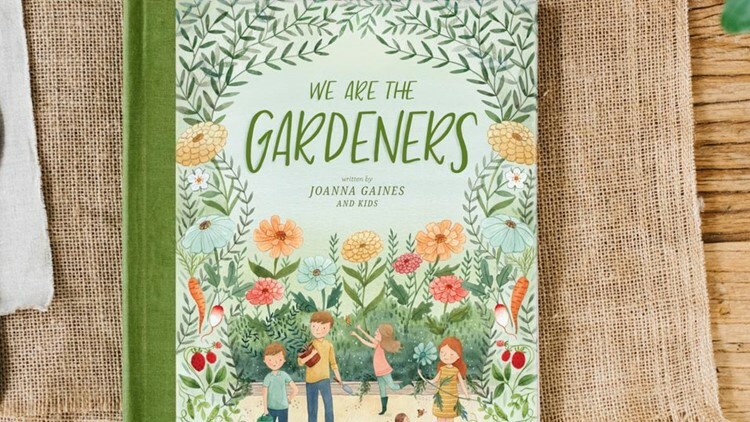 Gaines posted to her Twitter page Monday morning that she wrote the book with her kids to "tell the story of our journey in the garden - a story of trying and failing and trying again and never giving up." The book comes out March 26, according to the Magnolia website where it could could also be pre-ordered. It will sell for $20.00.